Bounce house- 15X15 Jump area! Up to 10 Little ones can bounce at once. 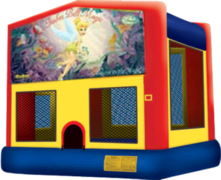 Price Includes 4hr rental,set-up/take down and standard delivery.Want this bounce with a slide & basketball hoop?-Please Checkout the Bounce house combo section. © Bounce Houses Ohio. All rights reserved.